Driven in large part by the popularity of the NHL's Winter Classic, outdoor hockey is enjoying an unprecedented revival. For a sport that began under the open sky, a backyard rink allows for a return to the origins of the game and can provide a memorable neighborhood gathering place and a place for players to train without the expense of indoor ice rental. 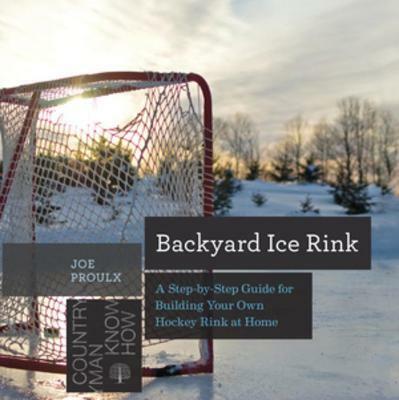 In Backyard Ice Rink, blogger and professional rink builder Joe Proulx guides you through every step of building your own backyard ice skating rink. From the simplest wooden frame to elaborate tall-board rinks, from measuring the slope in your yard to constructing your frame using parts found at your local hardware store, Proulx makes the project easy to tackle. In addition to the four easy-to-follow photo-intensive rink plans, Proulx also covers ice maintenance, building your own bench and goals, teardown, and storage through the summer months. Joe Proulx is the founding editor at Backyard-Hockey.com, which is among the most popular backyard rink and pond hockey websites on the Web. In the fall of 2011, Joe and his wife launched Elite Backyard Rinks, a parts distributor and installer of backyard rinks. To date, he has built more than 50 backyard rinks in New England. He lives in Bedford, New Hampshire, with his wife and three children.